Often times I try putting myself into my kindergarten students’ shoes and wonder how they embrace the world. Approaching a keyboard can be intriguing for students because they contain letters and numbers, items that little kids are learning about. Since the letters on the keyboard are out of their alphabetical order, locating letters can be time consuming task. 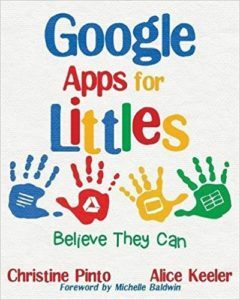 In order for students to access their Google Apps for Education accounts, they need to type keys to login. I wondered how I could help my students with this task. How could my students login without me locating the keys for them? 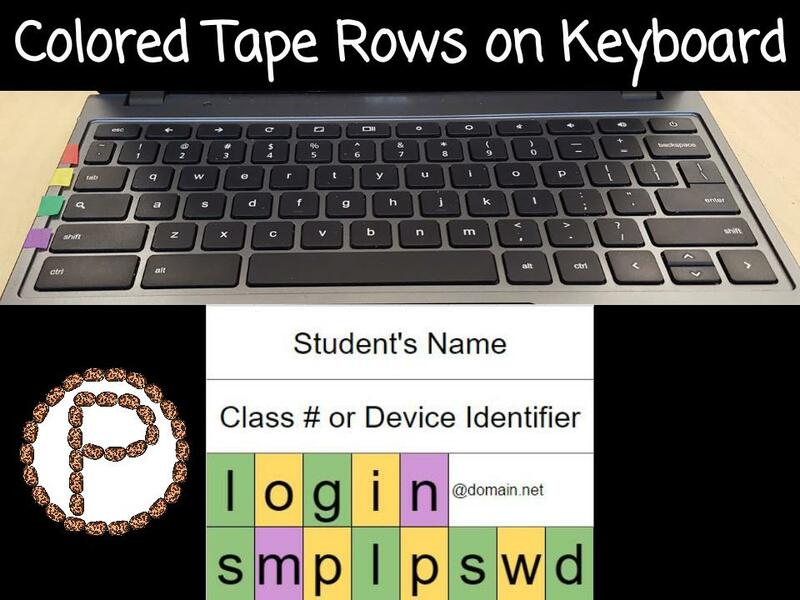 I put colored tape on the left side of my students’ Chromebook keyboards to bring attention to each row of keys. When students refer to their login cards, they can use the background color of the text to help them locate the letters or numbers. For example, in the above image, the “S” is located in the green row. When I introduced the login card to the kids and gave them an example of locating a letter, I told them they could find the “green S” on the row where the green tape was. I observed my students looking for the colored tape, and then using their index finger to scan the row for the letter. I bought the tiny rolls of Scotch Expressions Washi Tape at Staples. Using Google Sheets, you can customize a login card and apply conditional formatting to get the color to automatically come up when a certain letter key is typed. Work smarter not harder! Have a longer username or password? Insert a column. Need to Merge Cells? Perhaps the password is shorter than the email address? Select the cell you want to start the merge, hold the SHIFT key down, and select the cell you want to end the merge. Locate merge icon to merge. Want a smaller login card? Adjust size of columns and rows. Locate the empty rectangle, or as Alice Keeler calls it the “awesome box” directly under the formula icon fx so that it selects all the rows and columns in blue. Drag your cursor to the column or row lines until you see the double arrow. Drag the lines inwards. Think about where you want this login card to go. If you want it to go in a pocket chart, the rows and columns are going to need to be smaller. If you want the card to go directly underneath the keyboard of a Chromebook, the login card will have to be even smaller. If you are going to laminate the cards and string yarn through them, then size does not matter so much. 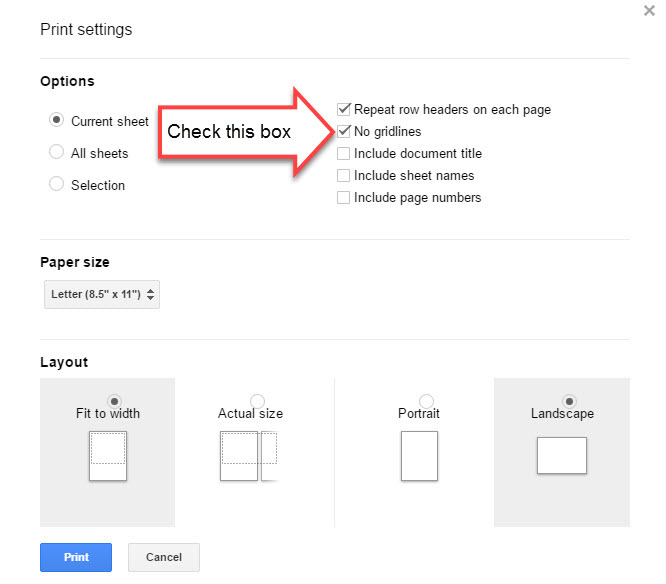 Option 2 – Select only the cells that you want to change the font size of. Click on the cell where you want the selection to start. Hold SHIFT key and click on the cell where you want the selection to end. Locate the font size and change. 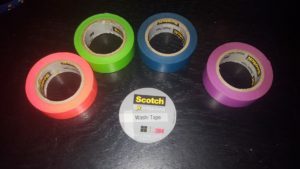 Have different colored tape? Change the color of the conditional formatting. Locate and click the Format menu, and select conditional formatting. You will want to have multiple login cards on a sheet so you can print multiple on one page. Select the first cell of the login card, hold the SHIFT key and select the last cell. Hold control key CTRL (for a PC) or command CMD (on a Mac) and C to copy the the login card. Go to the cell where you want to start the next card. CTRL or CMD and P to paste the login card in another place. You may want to do this another two times, it just depends how many cards you want to get on one page. DISCLAIMER – Print out the sheet to see if the card is the size you like. If it is not to the size of your liking, you will have to go back and adjust the columns, rows, and maybe font size. 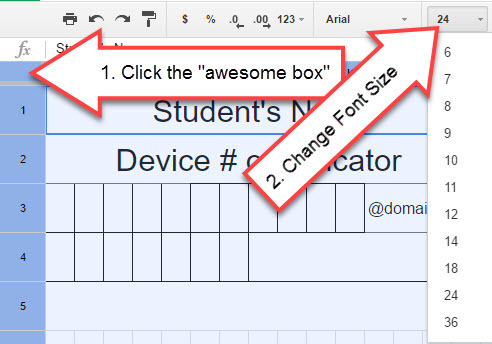 Use the “awesome box” and then make these changes just as you did before. After the login card is formatted the way you like it and there are multiple cards on a sheet, you can choose to duplicate the original sheet. Locate the sheet tab at the bottom left. Right click on it and select Rename. I renamed the tabs of my sheets to go along with the kids’ classroom numbers. 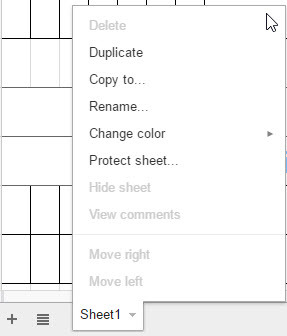 After you rename the tab of the sheet, right click on it again and select duplicate. Another sheet will be duplicated and you can rename it. Taking the time to get the login card formatted the way you wan it is SO worth it. Once I created a template, I filled it in with the kids’ login information in no time! 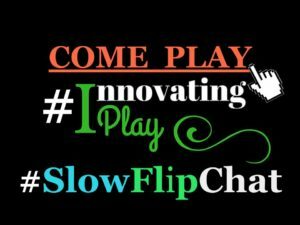 This entry was posted in Chromebook, Kindergarten, Login Card, Template by Christine Pinto. Bookmark the permalink.